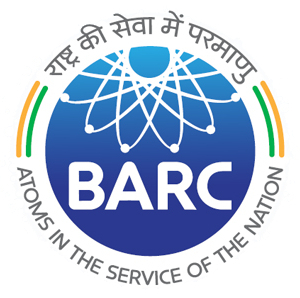 Bhabha Atomic Research Centre (BARC) is under direct control of the Government of India’s Department of Atomic Energy. Dr. Homi Jehangir Bhabha was the visionary who conceptualized the Indian Nuclear Programme and along with a handful of Scientists initiated the nuclear science research in India in March, 1944. He envisaged the vast potential of nuclear energy and its possible successful utilization in the field of power generation and allied areas. Dr. Bhabha started working with the goal of achieving self-reliance in the fields of nuclear science and engineering and today’s Department of Atomic Energy which is a consortium of different and diversified fields of science and engineering is the final outcome of the farsighted planning of Dr. Bhabha. Homi Bhabha National Institute is an Indian deemed university, established in 2005. It is named after the late Indian physicist Homi J. Bhabha. The HRD Ministry of the government of India declared Homi Bhabha National Institute (HBNI) a deemed to be University along with ten Constituent Institutions (CIs). Steenkampskraal Thorium Limited (STL) is a South African registered company in the business of developing and commercializing thorium as a clean safe energy source for the future. STL's business is therefore to develop the Thorium value chain from the point at which the thorium is mined to the production of thorium containing fuels. STL owns the rights to the thorium at the Steenkampskraal monazite mine in South Africa, a significant share in THOR Energy in Norway, where an irradiation program is underway to characterize and qualify thorium-based fuel for deployment in Light Water Reactors (LWRs), and a completed concept design of the HTMR100,a 35 MWe (100 MWth) high temperature gas-cooled reactor (HTGR). Dassault Systemes is a 3DEXPERIENCE Company, providing businesses and people with virtual universes to imagine sustainable innovations. Its 3DEXPERIENCE Platform leverages the Company’s world-leading 3D software applications to transform the way products are designed, produced, and supported, enabling businesses to craft delightful customer experiences The company’s Energy, Process & Utilities division offers services to the wind power, oil & gas, hydro power, nuclear power, thermal power and chemical & process industries. BHEL is an integrated power plant equipment manufacturer and one of the largest engineering and manufacturing company of its kind in India engaged in the design, engineering, manufacture, construction, testing, commissioning and servicing of a wide range of products and services for the core sectors of the economy, viz. Power, Transmission, Industry, Transportation (Railway), Renewable Energy, Oil & Gas and Defence with over 180 products offerings to meet the needs of these sectors. Establishment of BHEL in 1964 was a breakthrough for upsurge in India's Heavy Electrical Equipment industry. BHEL also has a widespread overseas footprint in 76 countries with cumulative overseas installed capacity of BHEL manufactured power plants nearing 10,000 MW including Malaysia, Oman, Libya, Iraq, the UAE, Bhutan, Egypt and New Zealand. Tempsens Instruments (I) Pvt. Ltd. is one of the largest solution providers for thermal engineering products - ie. Temperature sensors, heaters and cables. The company headquarters are based in India, an assembly plant in Germany and sales office in USA and China. The products offered are Thermocouples, RTDs, Thermowells, Compensating cables, Temperature Calibration Equipment, Pyrometers, Industrial heaters, Furnaces and related accessories. Accredited Calibration services are provided for all kind of temperature sensors and furnaces including pyrometers for temperature range -196°C to 2700°C. Tempsens supplies to more than 60 countries and services customer through dedicated offices or distributors. Fujitsu is the leading Japanese information and communication technology (ICT) company, offering a full range of technology products, solutions and services. Approximately 159,000 Fujitsu people support customers in more than 100 countries. To meet the global energy demand Fujitsu’s High Performance Computing (HPC) Cluster provides advanced seismic imaging for oil and gas exploration and supports ingenious development of new energy solutions. Forbes Marshall is a leader in process efficiency and energy conservation for Process Industry, with over seven decades of experience building steam engineering and control instrumentation solutions. The company’s expertise enables it to engineer customized systems that improve manufacturing processes, conserve energy and are environmentally sustainable. Forbes Marshall offer its customers a comprehensive range of services, products and solutions for utilities and process control. The company is present in over 50 locations globally, with 5 manufacturing facilities. Pepperl + Fuchs supplies the global process industry with extremely reliable products and solutions in the field of explosion protection. The company was founded in 1945 in Germany and is today known around the world as a pioneer and innovator in electrical explosion protection and sensor technology. L&T Valves is part of Larsen & Toubro conglomerate and a world-leader in flow-control solutions. Backed by a 50-year heritage of excellence, L&T Valves manufactures a wide variety of industrial valves that find application in key sectors of the economy. For over 30 years, L&T Valves has provided engineered flow-control solutions for the most demanding applications in the nuclear, defense and aerospace sectors. The company was the first valve manufacturer in India to obtain ASME ‘N’ stamps for valves for nuclear applications. Thousands of L&T valves are in service in nuclear and nuclear power installations across the country. Bharatiya Nabhikiya Vidyut Nigam Limited(BHAVINI) is a Government Company under the administrative control of the Department of Atomic Energy (DAE) incorporated on 22nd October 2003 as Public Limited Company under the companies act, 1956 with the objective of constructing and commissioning the first 500 MWe Fast Breeder Reactor (FBR) at Kalpakkam in Tamilnadu and to pursue construction, commissioning, operation and maintenance of subsequent Fast Breeder Reactors for generation of electricity in pursuance of the schemes and programmes of Government of India under the provisions of the Atomic Energy Act,1962. ECIL facilitates operation and safety of vital installations encompassing the entire Nuclear Fuel Cycle from prospecting to waste immobilization. ECIL was set up under the Department of Atomic Energy on 11th April, 1967 with a view to generate a strong indigenous capability in the field of professional grade electronics. The company has been a pioneer in supplying various Systems and Instruments to all Nuclear Power Projects in the country right from its inception. Godrej Precision Engineering, part of Godrej Group, delivers customized solutions meeting quality requirements in the high technology domain. The division manufactures wind turbine generator parts, customized equipment for gas & steam Turbines, turrets for ladles in steel industry, and equipment for nuclear power generating plants of the Nuclear Power Corporation of India (NPCIL). 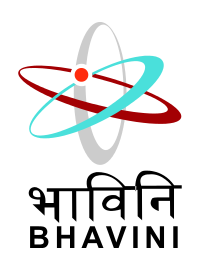 international Thorium Energy Committee (iTHEC) is a politically neutral, non-governmental, not-for-profit association based in Geneva, Switzerland and governed by Swill law. The association actively pursues to promote the destruction (transmutation) of civilian and military nuclear waste through Accelerator-Driven-Systems (ADS, and to support thorium-based energy, which is environmentally sound, safe and non-proliferating. The association is presently pursuing an international collaboration on the model of CERN large experiments for the construction of a first ADS demonstrator of significant power. TECH SQUARE is an embedded systems solution provider established in 2006. It is based in Pune, having branch offices across India. The company is specialized in PC Based automation & control, measurement solutions and IT services. Our business encompasses wide sectors, namely, machine automation, telecommunication, process control, factory automation, Test & measurement, Research laboratories, building automation and GPS based transportation system. Tech Square provides a wide variety of services ranging from IT strategy and consulting to system integration, Product design, & development, engineering consultation, embedded software & hardware, software design, micro controllers, microprocessors, proof of concepts, prototyping, re-engineering, product testing, project management.